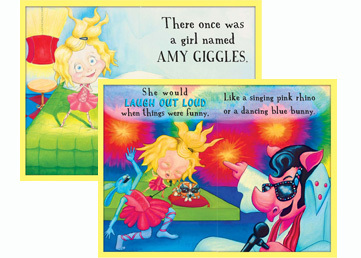 “Amy Giggles–Laugh Out Loud”, the debut-children’s book by Zac Brown Band member Coy Bowles, is a story of self-confidence and reassurance, accepting who you are and the realization that our differences make each of us beautiful and unique. 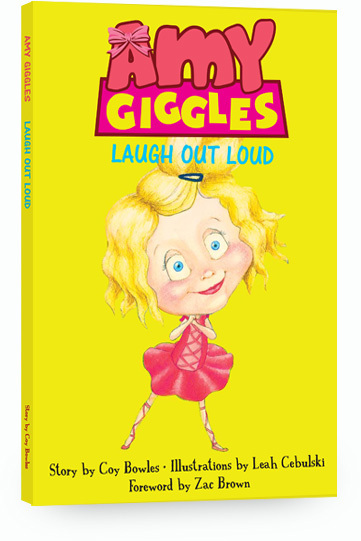 The reader is taken into a world of imagination through the eyes of Amy Giggles and her boisterous laugh. Author Coy Bowles is a man of all things creative. Whether he’s playing music as a member of the Zac Brown Band, designing and building custom fedora hats, writing songs or stories, Coy consumes himself with sharing his creative energy. He shares his take on self-confidence and the realization that our unique qualities make us who we are through the imaginative world of Amy Giggles. Illustrator Leah Cebulski is a mom, teacher, musician and artist. As an illustrator, this is her first children’s book. A portion of the proceeds of sale of this book will be donated to Camp Southern Ground, Inc., a 501(c)(3) tax-exempt organization.